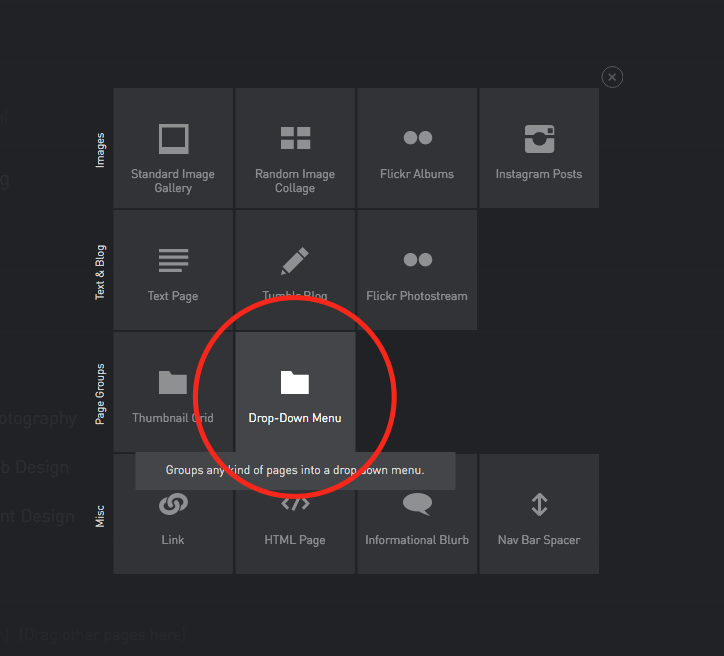 From your “Pages” section of your control panel, click the button at the top right to create a new page. From the menu that pops up, choose "Drop-Down Menu". You'll then have a new (empty) drop down menu with a default title. You can drag/drop other pages into this new page to add them to the menu. Click on the title of your new drop down menu to change its title.